DaeShawn Jackson had 19 points, four rebounds and four assists Friday night for Wilmington College. ALLIANCE – The University of Mount Union scored five points in the final eight seconds to defeat the Wilmington College men’s basketball team 86-84 in Ohio Athletic Conference Friday night. The game originally was scheduled for Saturday but was moved to Friday based on weather forecasts calling for a winter storm. With Wilmington up 84-81, Mount Union tied the game with eight seconds left. WC committed a turnover as time expired and MU’s Collen Gurley came up with a steal and layup before the clock hit 0:00, according to the game’s play by play. Mount Union is 15-3 overall and 9-2 in the conference. Wilmington is now 10-7 overall and 6-5 in league play. DaeShawn Jackson led WC with 19 points. Kevin Lewis had seven rebounds. Lewis and Jackson both had four assists. 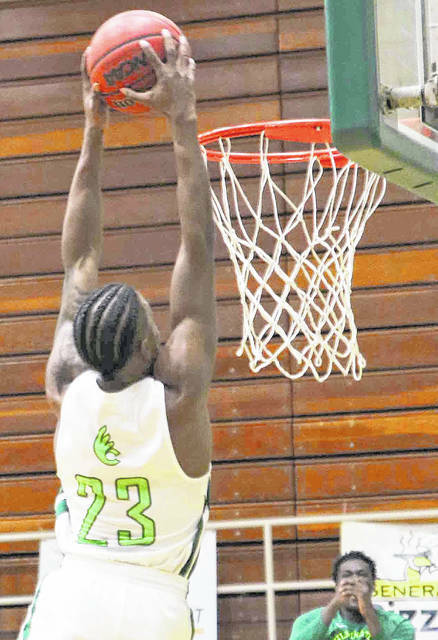 https://www.wnewsj.com/wp-content/uploads/sites/22/2019/01/web1_BBK_wc_DaeShawnJacksonBW-1.jpgDaeShawn Jackson had 19 points, four rebounds and four assists Friday night for Wilmington College.